Why I Am So Wise is one of several chapter essays with ironic titles including ‘Why I am So Clever” and “Why I Write Such Good Books,” in Friedrich Nietzsche’s Ecce Homo: How One Becomes What One Is . The book is the last original book written by philosopher before his death in 1900 and was published posthumously. The phrase ‘ecce homo’ is Latin for ‘behold the man‘ and is the phrase used by Pontius Pilate in John 19:5 [Vulgate] when he presents Christ, bound and crowned with thorns, to a crowd shortly before his Crucifixion. According to Walter Kaufmann, the text contains parallels to Plato’s Apology which documented the trial of Socrates. Just as Socrates was presented as the wisest of men precisely because he freely admitted to his own ignorance, Nietzsche argues that he himself is a great philosopher because of his withering assessment of the entirety of Philosophy which he considered a cowardly failure to pursue its stated aim to its reasonable end. In this regard, the wording of his title was not meant to draw parallels with Jesus, but to suggest a certain kind of contrast. Nietzsche posits that mythological figure of Jesus actually represents the mistake of failing to see that being a man is enough, that the important task of transcending the all-too-human requires nothing genuinely inhuman or supernatural, nothing beyond the reach of flesh-and-blood humans. In religion the constraint is lacking to consider ourselves as value positing. Nietzsche maintains that when the will of the self is subordinated to the will of God, the content of experience is negated. Nietzsche’s scathing critique of religion and morality has exerted a profound influence on Western philosophy and modern thought, particularly on existentialism. However, his critique of the person of Christ, the ‘ecce homo’ of history and art, is in my view, somewhat amiss claiming Christ represented an embodiment of ultimate morality. In my view, Christ arrived not to represent a divine morality but to address the failure of human constructed morality, the very self-constructed morality Nietzsche championed. A contemporary of Nietzsche, the Russian writer Fyodor Dostoevsky, examined this dilemma in his 1880 novel, The Brother’s Karamazov. Nietzsche’s senior by only 23 years, Dostoevsky wrote of man’s attempt to create moral norms without God and concludes that it is not within man’s power to overcome nihilism — without God, man will inevitably destroy himself. Why so? 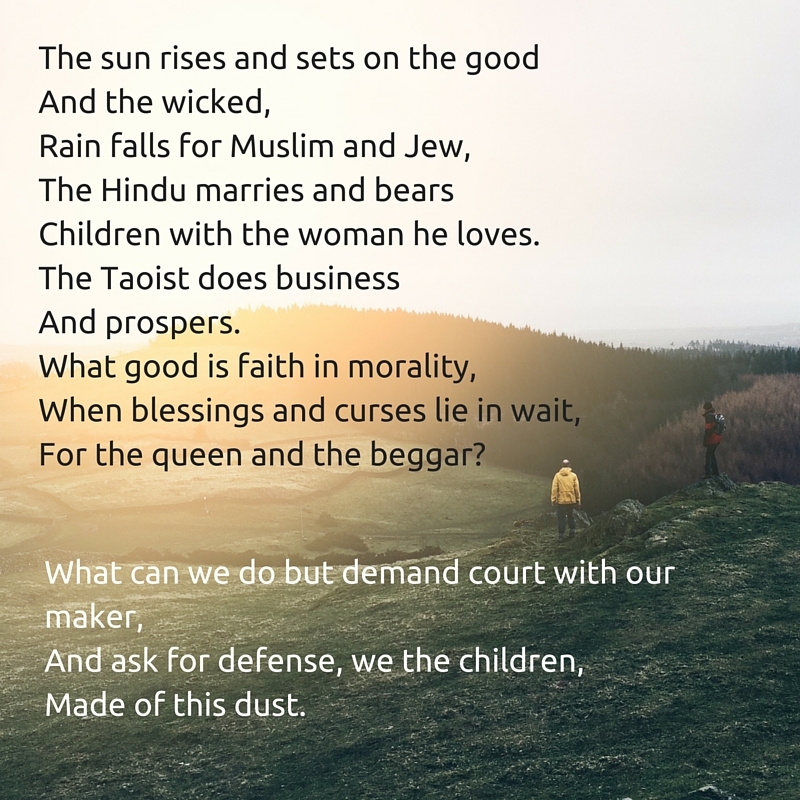 Dostoevsky’s Ivan asks to what end is mankind served by God’s plan for bringing about a harmony between good and evil in some distant future while meanwhile mankind suffers inexplicably. Ivan’s question is quite compelling because it addresses the problem of evil and suffering in terms of how mankind experiences it. Nietzsche’s thought on the reality of suffering fails to account for why anyone or anything suffers at all, or why the problem of evil was ever a valid moral question in the first place, because the exploitation and “overpowering of what is alien and weaker” is a natural consequence of strength passes unquestioned as a self-evident rule. Dostoevsky’s novel, through the dialogue of the two brothers, examines and critiques the empty vanities of religion and moralism, pointing out many of Nietzsche’s later conclusions, yet ends on a very different note. Rather than championing the creation of new values within the moral vacuum of nihilism, the Jewish and later Christian scriptures address the self-created morals of humanity and their failure. It is in the Book of Job, written in the 3rd century BC, in which the protagonist who in the face of pointless suffering has the choice to turning back to moralism or towards nihilism, turns instead angrily and audaciously to address God with an ultimatum. This challenge was answered in the person of Christ, not an ‘ubermensch’ or ‘superman’ because he represented God’s moral superior standards, but because he represented the face of God’s suffering with and for humanity. The cost of human freedom and moral agency finds reconciliation, and ultimate meaning in the scars of God himself. 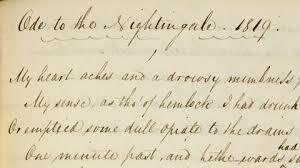 So starts John Keats’ “Ode to a Nightingale.” Published in 1819 it is another of the great works of the Romantic era. It is full of Romantic adoration of nature, along with nostalgia, melancholy about the transience of life, mortality and loss. 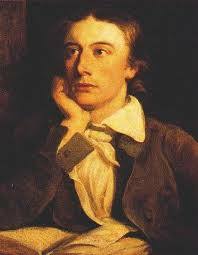 Above all these, Keats elevated the artist’s vision of Beauty coining what is known as “negative capability” – the ability of one to exist without truly knowing. The songbird is a happy nightingale, a voice that compels the narrator to join with in and forget the sorrows of the world. 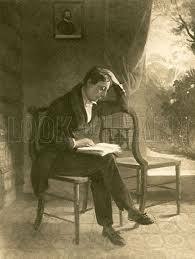 However, Keats had recently suffered the loss of his brother. The song’s conclusion represents the result of trying to escape into the realm of fantasy. 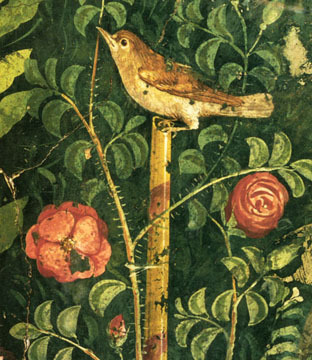 The nightingale described within the poem experiences a type of death but does not actually die. Instead, the songbird is capable of living through its song, which is a fate that humans cannot expect. 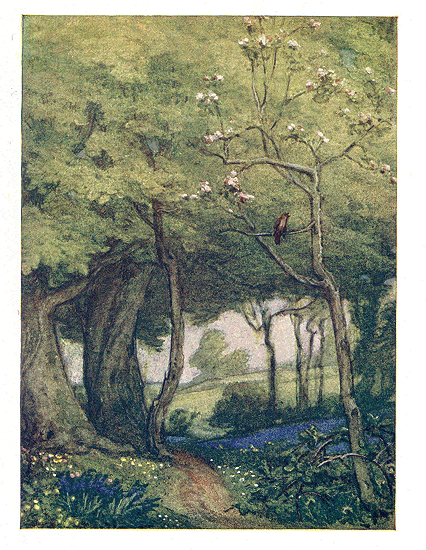 Keats imagines the loss of the physical world and sees himself dead—as a “sod” over which the nightingale sings. The contrast between the immortal nightingale and mortal man, sitting in his garden, is made all the more acute by his imagination. The poem ends with an acceptance that pleasure cannot last and that death is an inevitable part of life. To Keats there is something eternal in the contemplation of Beauty alone. ….that is, when a man is capable of being in uncertainties, mysteries, doubts, without any irritable reaching after fact and reason ……… with a great poet the sense of Beauty overcomes every other consideration, or rather obliterates all consideration.